If you're looking for electrical upgrades above and beyond an extra outlet, a circuit breaker expansion or adding a light fixture, consider some of these new trends in home comfort the industry is offering the sophisticated homeowner. While still a luxury item, shade control automation is dropping as fast as a south-facing blind in summer. Comfort is the name of the game and automation is the driver. Shade controls are gaining in affordability, and therefore popularity, as Phoenix homeowners realize that they can have much more control over their electric bill if they can insulate their windows as part of a whole-home energy plan. These shades, which used to be only for the elite, continue to fall in price. 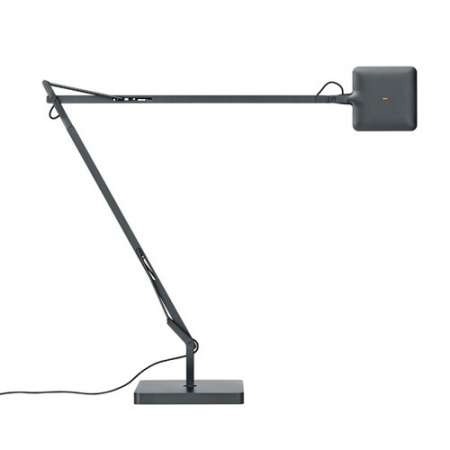 This Flos green mode table lamp automatically adjusts to the amount of light in the room to provide the best lighting possible. As LED lighting moves in to take over home lighting, the old style of dimmer switches have not made the transition as they don’t work well with LED lights. But, a new Smart technology is now available which works with virtually any lighting product. These controls increase the versatility of the lighting on hand and boost the performance of created lighting. Green mode is an energy-saving tool. The setting drops the high-end energy consumption of each bulb by between five and ten percent without any discernible effect on the lighting. The savings are small, but the savings over time adds up. Infrared sensor faucets have been part of proper public restroom management for some years, but now they're moving in a big way to the home front. I mean, after all, how silly is it to use your dirty hand to turn on a faucet, wash carefully, and then use a clean hand to turn that nasty faucet handle off? But, wait--it gets better. Besides the infrared gadget, you can also get a temperature control for your faucet, meaning that if cold water doesn’t appeal, a digital device will keep track of the temperature for you. 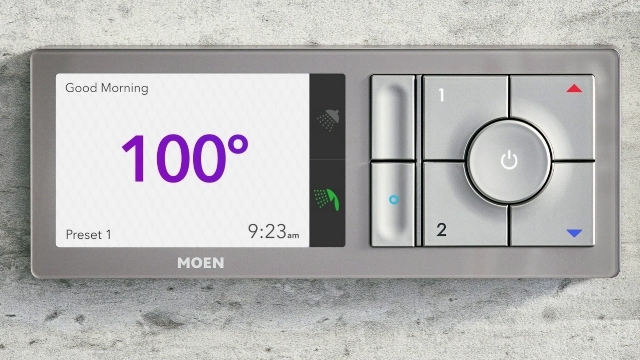 For the ultimate in fancy, consider the U by Moen, a Smart shower faucet which pre-warms the morning shower to a predetermined temperature, announces when it’s ready from your phone or the accompanying controller. Or, if you prefer, ask Alexa to turn it on for you. If you’re already in the shower and want to stop it to scrub the tiles or shave, you can pause it to save a little water. You can even pre-program it to only run for a certain length of time, hastening those teenage children out of the forty minute shower they had planned so they aren’t late for school. Security continues to be a thing, especially Smart security, with the Ring currently leading the pack in doorbells because it offers the most features. Not only does it not require hardwiring, but the average bear can install it in under ten minutes, it comes in a variety of beautiful colors, and features a crystal clear view of anyone skulking around your front door. For under $200, it does everything except take your guest's hat and coat. There are plenty of other new trends we haven’t covered, but the face of electronics changes by the day, which means new electrical options are offered on almost a daily basis. Meaning, of course, that your comfort is assured.